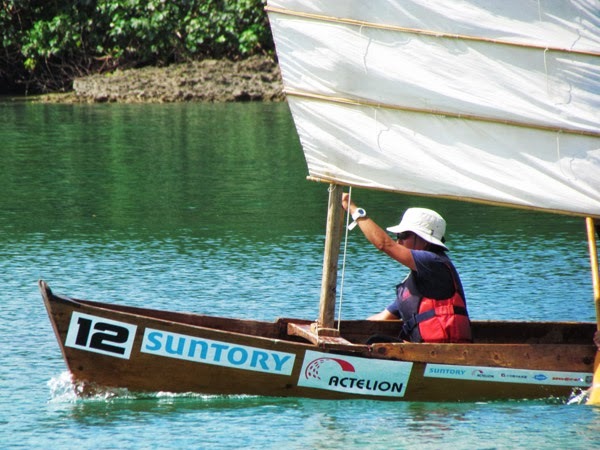 Part of the ethos of the Sabani community is to raise awareness of Okinawan culture among the Okinawan youth and to preserve the ocean ecosystem. 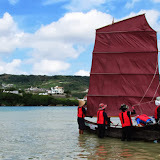 Common activities during these type of events include a Sabani mixer where beginners get a chance to ride Sabani boats, as well as a beach clean up of the nearby area for trash and debris. The Race. The entire race involves circling Oujima Island 4 times. (1) One loop is roughly 1.5 miles long (apprx 1600 meters) totaling about 6 miles after completion. Depending on the skill level of the teams, the entire race can last from an 1hr 15 minutes to 2 hours. At the end, there is an awards ceremony, along with closing remarks from guest speakers. Note. The race course may change due to high winds and dangerous surf conditions. 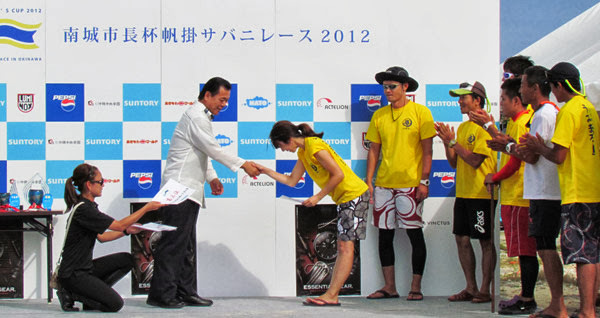 In the 2013 Mayor's Cup, hazardous sea conditions had forced the planning committee to cancel the scheduled race loop around the island and use a more safer course within the Oujima harbor. In a tournament-style setup, Sabani teams were placed in different race groups with winners in each group advancing to the finals. Epilogue. You will find a lot of camaraderie among Sabani enthusiast at any Sabani event. There is a push among like-minded people to promote more Sabani activities. 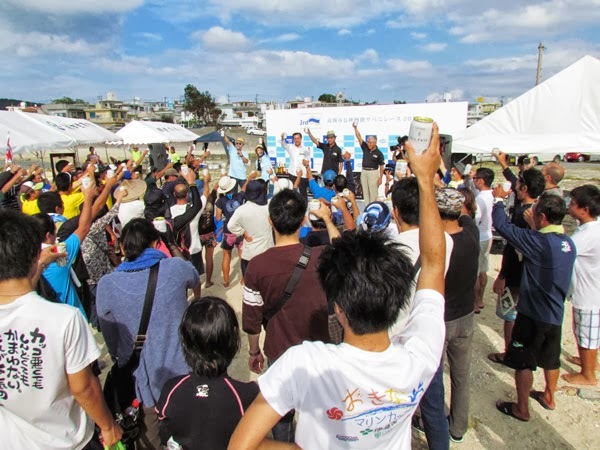 One of the biggest Sabani races occurs in June where participants leave from Furuzamami Beach on Zamami Island and finish at a Naha Port, a 3-4 hour excursion. To learn more about the Sabini Boats please visit Douglas Brooks' website. Author's Notes. Where to watch. Since the race involves circling the island 4 times, most people pick one spot and watch the race from that location. 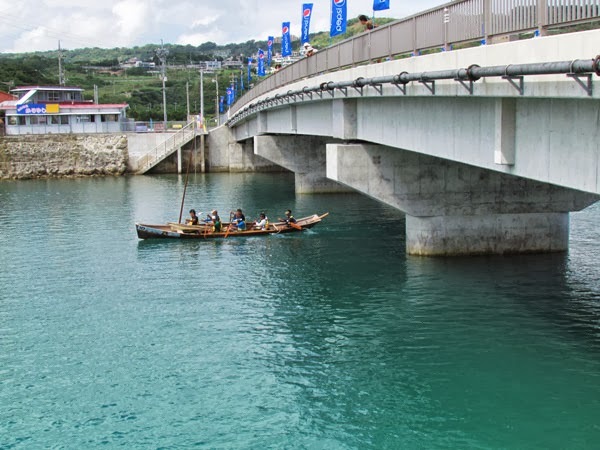 Many spectators will be watching from the Oujima Bridge as the Sabani boats race underneath. Restrooms. It is recommended that you make all your restroom stops before you arrive on Oujima. Restrooms may not be easily accessible or available depending on your location around the island. Directions. Take Highway 331 into Nanjo City. You will see signs directing you to Oujima. You can cross using Ou Bridge. Parking. There is no designated parking. You basically have to "do as the Romans do". Recommend get their little early for parking spaces.